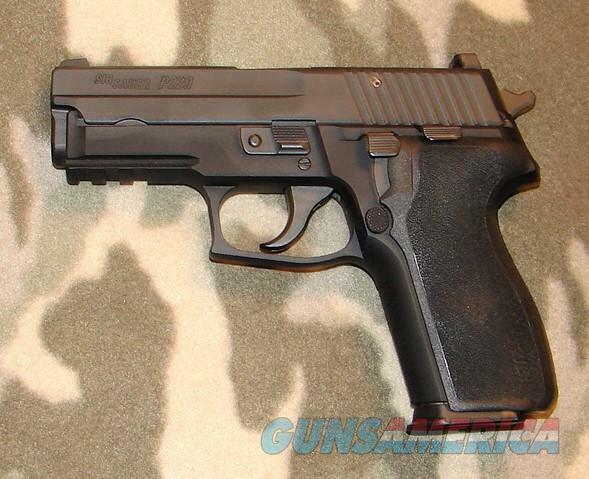 Description: Sig Sauer P229 9mm #AJU22320 3.9” bbl. with an excellent bore. This Black Nitron finished Sig retains 99% of its original finish. Features on this traditional SA/DA firearm include a decocking lever, tactical rail, and Siglite 3 dot night sights. Also included is one mag(15), the original cardboard box containing trigger lock and instructional manual. The Sig is arguably one the most reliable pistols on the market today.